During its study, the Subcommittee on a Code of Conduct for Members (SCCC) held ten meetings and heard from the following witnesses: Mr. Richard Denis, Deputy Law Clerk and Parliamentary Counsel, House of Commons; Mr. Pierre Parent, Chief Human Resources Officer, House of Commons; Ms. Anne-Marie Genin-Charette, Parliamentary Counsel (Legal), House of Commons, Mr. Philippe Dufresne, Law Clerk and Parliamentary Counsel, House of Commons; Ms. Catherine Beagan Flood, Partner, Blake, Cassels & Graydon LLP; Mr. Andrew Heard, Associate Professor, Department of Political Science, Simon Fraser University. The Subcommittee wishes to thank all of the witnesses for their important contributions and invaluable assistance on this study. The Subcommittee recommends that the following report be developed into a Code of conduct on preventing and addressing sexual harassment between Members of the House of Commons. As part of our mission to create an environment in which all individuals can excel, as a Member of the Parliament of Canada, I commit to contribute to a work environment free of sexual harassment. Part of our mission is to create a workplace free of sexual harassment. Sexual harassment is strictly prohibited. I commit to following the Code of Conduct for Members of the House of Commons: Sexual Harassment. The Member-to-Member sexual harassment Code applies only to allegations of non-criminal sexual harassment between Members. If it becomes apparent that there are reasonable grounds to believe a Member has committed a criminal offence, the office of the Law Clerk and Parliamentary Counsel is advised, and the matter will be referred to the appropriate law enforcement agency, following the agreement from the complainant. A Member shall not sexually harass any person. Sexual harassment, in this context, means unwanted conduct of a sexual nature that detrimentally affects the work environment. Given the personal nature of the matters of this Code, and given the potential negative consequences of confidential matters being made public before all facts are known, participants will commit to respecting confidentiality throughout the process and to respecting the privacy of all participants. Once a matter has been resolved, part of the resolution may require that certain information, but no more than is sufficient for the public to understand the circumstances and consequences of the resolution, be disclosed publicly. At all stages of the process, all participants should proceed in a manner that protects the privacy and personal information of all participants. Personal information includes any information that would enable someone to identify an individual. Except in the case where the House takes action against a Member, if at any time when a mutually acceptable resolution has been achieved, the process shall cease and any public disclosure of information shall only be made in accordance with the terms of any resolution, or as may be required to explain any consequences for a Member. Under this Code, any instances of confidential information being communicated to the public can be referred immediately to the Standing Committee on Procedure and House Affairs (PROC) to be dealt with in any manner that the Committee deems appropriate. A goal of the Member-to-Member sexual harassment Code is to create a culture in which ongoing deterrents to reporting are diminished and complainants feel as safe as possible in coming forward with a complaint. It is a complainant-driven process; when a complainant is satisfied, the process ends. May facilitate informal conversations with the complainant and respondent from their party. May be involved in coordination of mediation and investigations, and where appropriate involve the Chief Human Resources Officer of the House of Commons (CHRO). As part of a resolution, may coordinate any disciplinary and/or accommodation measures deemed necessary. Acting on behalf of Members, the CHRO will provide training and education initiatives to Members on matters related to sexual harassment between Members, as outlined in the section below “Training and Education”. Act as an initial point of contact for Members for complaints of sexual harassment between Members. Members may also decide to approach their Whip as the initial point of contact. Hold discussions between Members, and with their consent facilitate the resolution of the situation. Offer mediation at all stages of the resolution process, and in particular at early stages before a formal complaint is filed. The CHRO may make arrangements for confidential mediation if he or she is of the view that it would be best to attempt a resolution through a form of mediation with a mediator acceptable to both Members. Direct Members to the dispute resolution options. Receive formal complaint and acknowledge receipt in writing to all parties. If applicable, coordinate the work of the mediator and/or external investigator. In cases where mediation is unsuccessful, and with the consent of the complainant, initiate a process to investigate the facts related to the complaint. For that purpose, the CHRO may retain the services of an external investigator. That investigator conducts the investigation. Maintain, in a confidential manner, all records and documentation related to sexual harassment complaints, including the original complaint, any third party report, and all evidence gathered during an investigation. Such records will be kept for five years from the date the complaint was resolved. Conducting the investigation in a fair, impartial and timely manner. Informing the parties involved of the protocol that will be followed and of their roles in the investigation process. Where applicable, stating in the report that there was insufficient facts for a finding of sexual harassment. Where applicable, stating in the report that there are facts to support a conclusion that the respondent has engaged in behaviour that would constitute sexual harassment. Where applicable, stating in the report that the formal complaint made by the complainant was frivolous or vexatious or not made in good faith. For a sexual harassment concern within a political party, the complainant may choose to communicate directly with their party Whip. The Whip shall discuss the matter with the respondent in order to obtain further information. The CHRO can act as a resource during such discussions. Member-to-Member sexual harassment Code is to create a culture in which ongoing deterrents to reporting are diminished and complainants feel as safe as possible in coming forward with a complaint. Confidentiality is of the utmost importance. For sexual harassment concerns where the complainant or respondent is a Whip, the party’s House Leader will assume the role of the Whip as set out in this process. If there is no satisfactory resolution, the complainant can ‎then choose to communicate with the CHRO. For the purposes of initial intake, record-keeping, arranging mediation and conducting an investigation, the Whip may communicate with the CHRO, provided the complainant consents. Where the complainant and respondent are members of different caucuses, the CHRO, or a party designated by the CHRO, shall discuss the matter with the respondent. The CHRO or their designate shall meet with the complainant and respondent respectively to discuss how to proceed. The complainant and respondent may choose to involve their respective party Whips in the process. In cases where Members decide to allow their party Whip to coordinate the resolution process, the Whip may communicate with the CHRO for the purposes of record keeping, provided the complainant consents. Where the complainant or respondent is an Independent member, the CHRO, or a party designated by the CHRO, shall perform all coordination duties for the purposes of the process. If the CHRO, or Whip if involved, is of the view that it would be best to attempt a resolution through a form of voluntary mediation, the CHRO or Whip shall raise that option with the Members and, if they agree, the CHRO shall make arrangements for confidential mediation with a mediator acceptable to the Members involved. All materials prepared for and information exchanged at mediation are confidential. An agreement to mediate will be signed by the parties attending mediation to outline their specific obligations of confidentiality and privacy during the mediation process. Where the mediator is engaged from outside the House Administration, the costs of the mediation will be paid for out of a central budget of the House Administration. 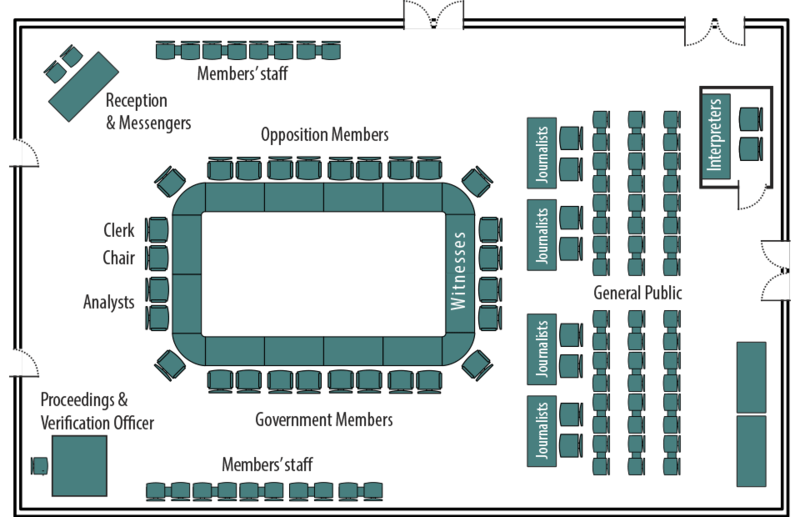 Members have access to the services of the Finding Solutions Together program of the House of Commons Administration, including facilitation services. If mediation is not pursued, or is unsuccessful, the CHRO may request that the complainant prepare a formal complaint and that the CHRO retain the services of a third party investigator to investigate the facts related to the alleged complaint of sexual harassment and to prepare a draft report. If the investigator concludes that there is insufficient evidence to support a claim of sexual harassment, the investigator shall so state in the draft report. If the investigator concludes that the respondent has engaged in behaviour that constitutes sexual harassment or is of the opinion that the formal complaint made by the complainant was frivolous or vexatious or was not made in good faith, the investigator shall so state in the draft report. The CHRO distributes the draft report to the complainant and respondent for their review. Both have 15 days to submit their comments on the draft report, in writing, to the CHRO. Following the reception of any comments provided by the complainant and/or respondent, the investigator will prepare a final report that includes any such comments. The preparation of the draft and final reports will be treated in a manner that respects the privacy of the Members involved and other individuals who provided evidence. The CHRO provides a copy of the final investigation report to the complainant and the respondent. The final report shall be provided to the CHRO to determine appropriate next steps, in consultation with the parties. At any time during the investigation, the parties may agree to suspend the investigation and return to mediation. Referral to the appropriate Whip: Following an investigation in which a complaint was substantiated, the complainant may advise the CHRO in writing within 15 days of receiving the report that they believe the matter warrants further action against the respondent. In cases where there was a finding that a complaint was frivolous or vexatious or not made in good faith, the respondent may advise the CHRO in writing within 15 days of receiving the report that they believe the matter warrants further action against the complainant. The CHRO will bring the matter to the attention of the appropriate Whip, in writing, and submit the report to the Whip. Within 15 days of receiving the report, the Whip will provide the CHRO with a proposed course of disciplinary action. The CHRO would then share that proposed action with the complainant to determine if that proposed disciplinary action would result in the matter being resolved to the satisfaction of the complainant. If the proposed disciplinary action is not deemed satisfactory to the complainant, the complainant may then suggest additional remedies to the CHRO that would be communicated with the respondent’s party Whip. If the respondent’s party Whip agrees to those measures then the matter would be deemed satisfactory to the complainant. If there is not a satisfactory resolution, the matter would be referred to PROC. Referral to PROC: If a Member involved believes the course of action proposed by the appropriate Whip would not resolve the matter to their satisfaction or if the appropriate Whip, with the consent of the Member involved, believes the matter warrants further action against any Member, they may bring the matter to the attention of the Chair of PROC, in writing, including a copy of the investigation report. The Members who are the subject of the investigation report have the right to address PROC on the subject of the investigation report, as well as have access to view the evidence and documentation. PROC may recommend any sanctions that the House of Commons has available to it to address the findings of the investigation report. PROC must include in any report the reasons for any conclusions and recommendations. Until PROC tables its report in the House of Commons, the Member who referred the matter to the Committee may indicate in writing to the Chair that they no longer wish to pursue the investigation, at which time the matter is deemed withdrawn. PROC will hold its proceedings in camera. The Committee will also determine whether some, all, or a summary of the investigator’s report may be used as evidence before the Committee. In the event that a complainant or respondent is a Member of the Committee, the respondent or complainant shall not participate, as a Member of the Committee, in the proceedings of the Committee on the inquiry, provided that the Member’s Whip may designate one of the same party’s associate members, or another member of the party’s caucus, to act as a Member of the Committee, for the purposes of those proceedings, as if that second member had been originally appointed as a Member of the Committee. The report PROC presents to the House of Commons may contain only a summary of the investigation report that will be anonymized and will respect the privacy of the complainant and other individuals who provided evidence. In a case where a Member was found to have made a complaint that was frivolous or vexatious or not made in good faith, the respondent is not identified. Referral to the House of Commons: The Chair of the Standing Committee on Procedure and House Affairs shall table the report on the study of the investigation in the House when it next sits. Within ten sitting days after the tabling of the report of the Standing Committee on Procedure and House Affairs, the Member that is subject of the report shall have the right to make a statement in the House. Any motion in the House respecting a Committee report ought to not be moved until the member who was the subject of the report has made a statement or the ten sitting days allowed for the statement have lapsed, whichever is earlier. A motion to concur in a report of the Standing Committee on Procedure and House Affairs may be moved during Routine Proceedings, when it shall be considered for no more than three hours, after which the Speaker shall interrupt any proceedings then before the House and put forthwith and successively, without further debate or amendment, every question necessary to dispose of the motion. During debate on the motion, no Member shall speak more than once or longer than ten minutes. If no motion pursuant to the adoption of a report of the Standing Committee on Procedure and House Affairs has been previously moved and disposed of, a motion to concur in the report shall be deemed to have been moved on the 30th siting day after the day on which the report was tabled, and the Speaker shall immediately put every question necessary to dispose of the motion. At any point before the House has dealt with the report, whether by deemed disposition or otherwise, the House may refer it back to the Standing Committee on Procedure and House Affairs for further consideration, with instruction. Any statements made in the House of Commons regarding a matter related to the Code should respect the confidentiality of the resolution process and the privacy of the Members involved and other individuals who provided evidence in the course of an investigation. it is discovered that the act or omission under investigation is also the subject of an investigation to determine if an offence under an Act of Parliament has been committed, or a charge has been laid with respect to that act or omission. The Chief Human Resources Officer shall not continue the resolution process until the other investigation or the charge regarding the act or omission has been finally disposed of. The SCCC considers that it is important that all members be briefed on the contents of this Code at the start of each new Parliament. The IntraParl home page now includes an icon for accessing the new Harassment Prevention section. Presentations will be made available to the various caucuses to discuss the application of the Code. CHRO is currently working with training experts to design more formal presentations for Members and staff. Distribution of information at the service fair. CHRO will work with the Whips to establish an approach for delivering information and refresher sessions throughout the next Parliament. CHRO will use the iBulletin to remind Members of their responsibilities in preventing harassment. This strategy was developed in the context of the House of Commons Policy on Preventing and Addressing Harassment, which applies to Members as employers. This strategy can be easily modified to include awareness of the Code applicable between Members. The Finding Solutions Together program may be extended to Members, as was done in the case of the House of Commons Policy on Preventing and Addressing Harassment. Without prejudice to the Committee sooner reviewing the Code of Conduct for Members of the House of Commons: Sexual Harassment, or adjusting elements of the process, the Committee should undertake a review of the Code once two years has passed since its implementation. That the Clerk of the House be authorized to make any required editorial and consequential alterations to the Standing Orders, provided that the Clerk of the House inform the Committee, in writing, of any editorial and consequential alterations they make. A copy of the relevant Minutes of Proceedings of the Committee (Meeting No. 86) is tabled and a copy of the relevant Minutes of Proceedings of the Subcommittee on a Code of Conduct for Members (Meetings Nos. 1 to 10) is tabled. (e) implement the recommendations of the 38th report of the Second Session of the 41st Parliament of the Standing Committee on Procedure and House Affairs. 2. The following definitions apply in this Code. “CHRO” means the Chief Human Resources Officer of the House of Commons Administration. “complainant” means a Member who reports allegations of sexual harassment in accordance with section 8. “investigator” means an external investigator engaged by the CHRO to conduct an investigation of a formal complaint of sexual harassment on his or her behalf. “participant” means the complainant, respondent or any other individual involved in the resolution process. “personal information” means any information that would enable someone to identify an individual. “resolution process” includes the reporting of allegations of sexual harassment and the initiating of informal discussions, the mediation process, and the filing of a formal complaint and its investigation, as well as any disciplinary action that may be imposed. “respondent” means a Member who is the subject of allegations of sexual harassment reported in accordance with section 8. “sexual harassment” means unwanted conduct of a sexual nature that detrimentally affects the work environment. 3. This Code applies only to allegations of sexual harassment between Members. 4. The CHRO, in carrying out his or her functions under this Code, is acting for and on behalf of the House of Commons. 5. A Member shall not sexually harass another Member. 6. A Member shall not disclose information related to the resolution process or any personal information related to any participant, unless otherwise provided for in this Code. 7. Every Member shall commit to contributing to a work environment free of sexual harassment by signing the pledge in the form set out in Form 1 and returning it to the CHRO within 60 days after the notice of his or her election to the House of Commons is published in the Canada Gazette, or within the first 30 sitting days of the ensuing Parliament or, in the case of a Member elected at a by-election, within the first 30 sitting days following the Member’s introduction in the House, whichever is later. (b) to his or her Whip, if the respondent is a member of the same caucus. (2) Despite subsection (1), if the complainant or the respondent is an independent Member, any sexual harassment allegations involving them shall be dealt with by the CHRO or an individual designated by the CHRO. (3) The CHRO or Whip, as the case may be, shall manage the discussions relating to the allegations of sexual harassment. (4) The CHRO or Whip, as the case may be, shall inform the respondent of the allegations reported under subsection (1) and may request additional information from the respondent. (5) The CHRO or Whip, as the case may be, may facilitate discussions between the complainant and the respondent in order to resolve the issue. (6) If the sexual harassment allegations are reported to the Whip under subsection (1), the Whip may, with the complainant’s consent, invite the CHRO to participate in the discussions described in subsection (4). 9. All participants shall be bound to the complainant’s choice of the CHRO or Whip under subsection (1). 10. Despite section 8, if the Whip of a party is either the complainant or respondent, the House Leader of that party shall assume the role of the Whip. 11. The complainant who chose to report sexual harassment allegations to his or her Whip under paragraph 8(1)(b) may, at any time during the resolution process, choose to have the matter dealt with by the CHRO. 12. If the sexual harassment concern is first reported to the Whip under section 8, the Whip may, with the complainant’s consent, communicate with the CHRO for the purpose of aiding in the administration of the resolution process, including record-keeping. 13. The complainant and the respondent may choose to be assisted by their respective Whips at any time during the resolution process. 14. The CHRO or Whip, as the case may be, shall offer mediation at all stages of the resolution process and, in particular, before a formal complaint is filed. 15. (1) Upon the completion of the discussions described in section 8, the CHRO or Whip, as the case may be, shall raise with the complainant and respondent the possibility of resolution through mediation. (2) If the complainant and respondent agree to mediation, the CHRO shall make arrangements for confidential mediation with a mediator acceptable to the complainant and respondent. (3) If the complainant and respondent agree to mediation, they shall sign a mediation agreement that outlines their specific obligations of confidentiality and privacy during the mediation process. 16. All materials prepared for, and information exchanged at, mediation shall be confidential. 17. Where the mediator is engaged from outside the House of Commons Administration, the costs of the mediation shall be paid from a central budget of the House of Commons Administration. 18. Members have access at all times to the House of Commons Administration’s program called Finding Solutions Together, which provides facilitation services. 19. (1) If the complainant and respondent do not agree to proceed by mediation, or if the matter is not resolved to the complainant’s satisfaction, the complainant may file a formal complaint with the CHRO that the respondent has engaged in sexual harassment. (2) The complaint shall be in writing, shall be signed by the complainant and shall include a description of the nature of the alleged sexual harassment and the identity of the respondent. 20. Upon receipt of a formal complaint, the CHRO shall acknowledge the complaint in writing and retain the services of an investigator to investigate the facts related to the allegations of sexual harassment filed under section 19. 21. (1) The investigator shall conduct the investigation in a fair, impartial and timely manner. (2) The investigator shall inform the participants of the protocol that will be followed and of the role of the participants in the investigation process. (3) The investigation of a formal complaint shall be conducted in a manner that respects the confidentiality and privacy of the Members involved and of any other individuals who provide evidence. (c) there is insufficient evidence to support a claim of sexual harassment, and the complaint was frivolous or vexatious or was not made in good faith. 23. (1) The CHRO shall provide a draft copy of the report to the complainant and the respondent for their review. (2) The complainant and the respondent shall provide their written comments on the draft report to the CHRO within 15 days of receiving the report. (3) The CHRO shall transmit to the investigator any comments received under subsection (2), along with his or her observations on the comments, as well as instructions for the preparation of the final investigation report. 24. (1) The CHRO shall provide a copy of the final investigation report to the complainant and to the respondent. (2) The CHRO shall inform the complainant and the respondent of the various courses of action to address the findings in the final investigation report. 25. At any time during the investigation, the complainant and the respondent may agree to suspend the investigation and resolve the issue through mediation. 26. (1) Where the final investigation report in relation to a formal complaint indicates that there is sufficient evidence to support a claim of sexual harassment, the complainant may notify the CHRO, in writing, within 15 days of receiving the final investigation report that he or she believes the matter warrants further action. (2) Upon receiving a notice under subsection (1), the CHRO shall inform the respondent’s Whip of the notice, in writing, and shall submit the final investigation report to the Whip. 27. (1) Where the final investigation report in relation to a formal complaint indicates that a complaint was frivolous or vexatious or not made in good faith, the respondent may notify the CHRO, in writing, within 15 days of receiving the final investigation report that he or she believes the matter warrants further action. (2) Upon receiving a notice under subsection (1), the CHRO shall inform the complainant’s Whip of the notice, in writing, and shall submit the final investigation report to the Whip. 28. (1) Within 15 days of receiving a notice under subsection 26(2) or 27(2), the Whip concerned shall provide the CHRO with a proposed course of disciplinary action. (b) the respondent, in the case where the final investigation report indicates that a complaint was frivolous or vexatious or not made in good faith. (3) If the disciplinary action proposed by the Whip under subsection (1) is not satisfactory to the complainant or the respondent, as the case may be, the complainant or the respondent may suggest a further course of disciplinary action to the CHRO. (4) The CHRO shall inform the Whip concerned of the further course of disciplinary action suggested under subsection (3). (5) Where there is agreement on the course of disciplinary action pursuant to subsection (2) or (4), the matter shall be deemed to be resolved. (6) Once the matter is deemed to be resolved, the Whip in question shall implement the course of disciplinary action. 29. (1) If either Member is not satisfied with the course of disciplinary action pursuant to subsection 28(2) or (3), the complainant or respondent may bring the matter to the attention of the Chair of the Standing Committee on Procedure and House Affairs. (2) For the purpose of subsection (1), the Whip of the complainant or the respondent may bring the matter to the attention of the Chair of the Standing Committee on Procedure and House Affairs, with the consent of the complainant or the respondent. (3) Any request made to the Chair of the Standing Committee on Procedure and House Affairs under subsection (1) or (2) shall be made in writing and shall include a copy of the final investigation report. (4) Within five days of the receipt of the request pursuant to subsection (3), the Chair of the Standing Committee on Procedure and House Affairs shall designate a date for a meeting within the next 60 days, provided that forty-eight hours’ notice is given of the meeting. 30. (1) The Standing Committee on Procedure and House Affairs shall hold its proceedings in camera. The Committee shall determine whether all or part of the final investigation report – or a summary of it – may be used as evidence before the Committee. (2) The Committee shall retain all evidence and documentation, including in camera transcripts, related to its inquiry for a period of five years following the date of the presentation of its report to the House of Commons, pursuant to section 37 of this Code, or following the date the matter was deemed withdrawn from the Committee, pursuant to section 32 or 33 of this Code, as the case may be. (3) At the conclusion of the period provided for in subsection (2), the Clerk of the House shall cause all evidence and documentation related to the Committee’s inquiry, including in camera transcripts, to be destroyed unless the Committee directs otherwise. 31. The complainant and respondent shall have the opportunity to appear before the Standing Committee on Procedure and House Affairs in relation to the report. 32. Until the Standing Committee on Procedure and House Affairs presents its report to the House of Commons pursuant to section 37, the Member who requested that the Committee study the matter may indicate in writing to the Chair that he or she no longer wishes to pursue the matter, at which time it is deemed withdrawn from the Committee. 33. In the event that a complainant or a respondent is no longer a Member of the House of Commons during the course of the Committee’s study, the matter is deemed withdrawn from the Standing Committee on Procedure and House Affairs. 34. The Standing Committee on Procedure and House Affairs shall include in the report the reasons for any conclusions and recommendations. 35. (1) The report of the Standing Committee on Procedure and House Affairs shall contain only a summary of the final investigation report, shall not disclose the identity of any of the participants and shall respect the privacy of the complainant and other individuals who provided evidence. 36. In its report, the Standing Committee on Procedure and House Affairs may recommend any appropriate sanctions available to the House of Commons. The Member being sanctioned may be named in the report. 37. Forthwith following an inquiry, the Chair of the Standing Committee on Procedure and House Affairs shall present its report to the House, pursuant to Standing Order 35(1). 38. Within ten sitting days after the presentation of the report of the Standing Committee on Procedure and House Affairs, the Member who is the subject of the report shall have the right to make a statement in the House, provided that he or she shall not speak for more than 20 minutes and that he or she shall respect the confidentiality of the resolution process and the privacy of the Members involved and of other individuals who provided evidence. 39. (1) A motion to concur in a report of the Standing Committee on Procedure and House Affairs made pursuant to this Code may be moved during Routine Proceedings, provided that the notice period, pursuant to Standing Order 54(1), is respected and that any motion to concur in the report shall not be moved until either the Member has made a statement pursuant to section 38 or ten sitting days have elapsed since the presentation of the report. (c) when no Member rises to speak or after a total of three hours of debate, whichever is earlier, the Speaker shall put all questions necessary to dispose of the motion, provided that, if a recorded division is requested on the motion considered on a day designated pursuant to paragraph (a) of this subsection, it shall stand deferred to an appointed time on the next Wednesday, no later than the expiry of the time provided for Government Orders on that day. (3) If no motion pursuant to this section has been moved and disposed of, a motion to concur in the report shall be deemed to have been proposed on the 30th sitting day after the day on which the report was presented to the House. At the expiry of the time provided for Government Orders, the Speaker shall put forthwith every question necessary to dispose of the motion, provided that either the Chief Government Whip or the Chief Opposition Whip may ask the Speaker to defer the division to an appointed time no later than the ordinary hour of daily adjournment on the next sitting day that is not a Friday. 40. Statements made in the House of Commons regarding a specific matter related to this Code must respect the confidentiality of the resolution process and the privacy of the Members involved and of other individuals who provided evidence. 41. At any time before the House has concurred in the report, the House may refer the report back to the Standing Committee on Procedure and House Affairs for further consideration. 42. In the event that the complainant or the respondent ceases to be a Member of the House of Commons following the presentation of the report of the Standing Committee on Procedure and House Affairs to the House, any motion to concur in the report is deemed withdrawn and dropped from the Order Paper. (b) once seized of the matter in accordance with paragraph (a), the Standing Committee on Procedure and House Affairs may present the report of findings to the House anew, provided that the House had not concurred in the Committee’s report in the previous session or Parliament. (b) it is discovered that the conduct under investigation is also the subject of an investigation to determine if an offence under an Act of Parliament or provincial legislation has been committed or that a charge has been laid with respect to that act. (2) The CHRO shall not continue the resolution process until the other investigation has been completed or there has been a final disposition of the charge laid with respect to that conduct. 45. Any public disclosure, by the CHRO, of personal information or of information related to the resolution process shall only be made in accordance with the terms of the resolution of a complaint, and shall be no more than is sufficient for the public to understand the circumstances and consequences of the resolution. 46. Where the House of Commons takes action against a Member, the House may only disclose information if it is necessary to explain any consequences for a Member. 47. If confidential information has been communicated to the public in violation of this Code, the matter shall be referred to the Standing Committee on Procedure and House Affairs to be dealt with in any manner that the Committee deems appropriate. 48. The CHRO shall undertake educational activities for Members on the content of this Code and on matters related to the prevention of sexual harassment. 49. The CHRO shall brief Members on the contents of this Code at the start of each new Parliament. 50. The CHRO shall retain all documents relating to an allegation raised or a formal complaint filed under this Code for a period of five years from the date the matter was resolved, after which the documents shall be destroyed, unless a charge has been laid against the respondent under an Act of Parliament and the documents may be relevant to that matter. 51. The Standing Committee on Procedure and House Affairs shall undertake a review of this Code no more than two years after its coming into force. 52. This Code shall form part of the Standing Orders of the House of Commons. As part of the House of Commons’ mission to create an environment in which all individuals can excel, I, ……, Member of Parliament, commit to contribute to a work environment free of sexual harassment. I recognize that part of our mission is to create a workplace free of sexual harassment and that sexual harassment among Members of Parliament is strictly prohibited. I further commit to following the Code of Conduct for Members of the House of Commons: Sexual Harassment.